Is Your Brand on Autopilot? How often do you reflect on what your personal brand is and assess whether or not you are living your life and conducting yourself at work in a way that exemplifies those attributes? In a very crude survey at a dinner party last week I found that no one regularly took the time to step back and contemplate both the characteristics associated with them or how they were manifesting themselves in their day-to-day life. New Years Day and life changing events aside, our personal brand is usually on autopilot. Too often businesses with an established brand don’t take the time to reflect on how their brand is perceived or considered. So much emphasis is placed on increasing awareness without the benefit of understanding what their target audience and customer base thinks and what it will take to get them to buy. With the proliferation of marketing mediums, it is even more important to ensure the brand personality and attributes are resonating across all audiences. Let’s face it. It’s easier to get marketing dollars to put toward an ad or marketing campaign than it is to conduct research and develop processes and governance. Many employees believe that they already understand their brand attributes so spending coveted marketing dollars to “tell them what they already know” is like throwing away money. Processes and governance just mean more bureaucracy and delays to market. But then the day comes when new competition is entering the market, share is eroding and revenue and profitability are on the decline. Ad campaigns are not delivering the desired results. Loyal customer advocates are now tempted with competing offers. The brand is no longer connecting with the market the way it used to, so now you're behind the curve scrambling to repair. It’s a matter of simple due diligence and established processes that will yield a greater return on the awareness investment. Luckily, due diligence doesn’t mean millions of dollars and months of research thanks to technology and social media. Conduct a brand study and customer survey to get a pulse on where you stand. Establish processes like tone and writing styles, training and review processes to ensure the attributes and personality are conveyed across the board. 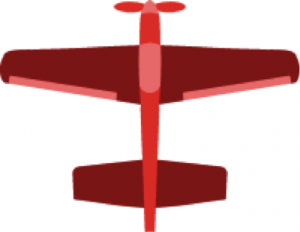 Don’t let your company’s brand operate in autopilot. The market is too volatile and buyers more empowered. Whether you're a B2B or B2C company, step back and reflect on your business performance and whether or not your brand identity is resonating with those attributes that will drive improved perception, consideration, and more importantly, sales.